Like a rally car, the ATH-CKR7TW’s performance is impressive, but the ride is rocky. The CKR7TW arrive in a no-nonsense box worthy of their similarly flair-free name. Removing the box’s stark white exterior reveals a thick bed of foam housing the two earpieces above a pill-shaped charging case. Together, they make a sort of robotic smiley face. Pulling the buds free, the first thing you’ll notice is how classy they look (we got the gray version, but they also come in black), followed shortly thereafter by the revelation that these things are pretty dang big — more apparatuses than earbuds — with long, protruding sound tubes and multilayered housings. 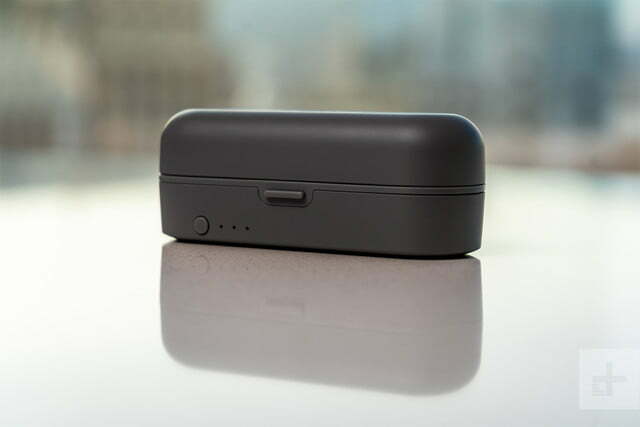 The portable charging case is also bulbous, measuring almost half again as big as premium cases like the Momentum’s fabric-laden job — it absolutely dwarfs the miniature stormtrooper case that houses Apple’s AirPods. 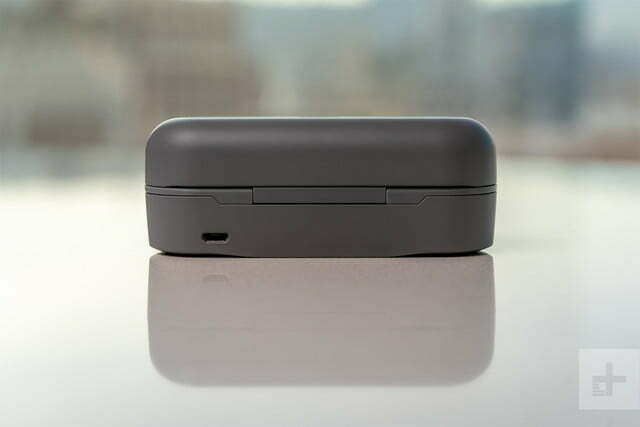 A thick coating of matte plastic also gives the case a toy-like air that detracts from the cool factor, and the charging pads sit in such a way that we were constantly putting the buds in backward. 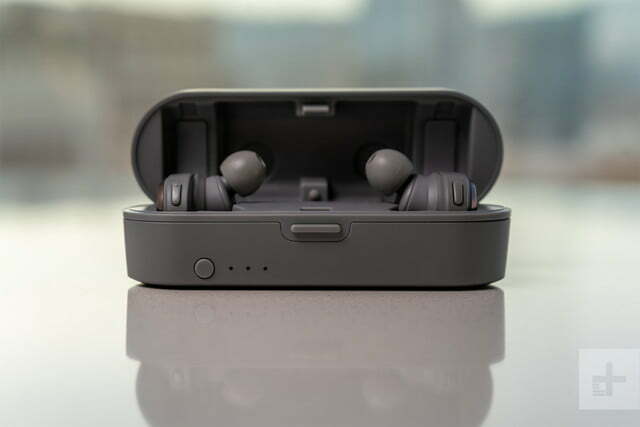 Along with the case, the headphones come with four pairs of silicon eartips, two sports fins called “3D Loops,” and a small Micro USB charging cable. They’re specially tuned for performance above all. Getting the CKR7TW paired to your phone is a simple affair. After charging the buds in their case, they should turn on and set to pair once they are removed. If they don’t (as in our case), simply hold down the top buttons for two seconds, which should power them on and set them to be discovered in your device’s Bluetooth settings. Before we get to which features are available (and which aren’t), we must give credit where it’s due when it comes to acoustic design. Packing large 11mm drivers, an AKM AK4375 DAC (digital-to-analog converter), and Bluetooth audio codecs like AAC and aptX, the CKR7TW are purpose-built for performance. 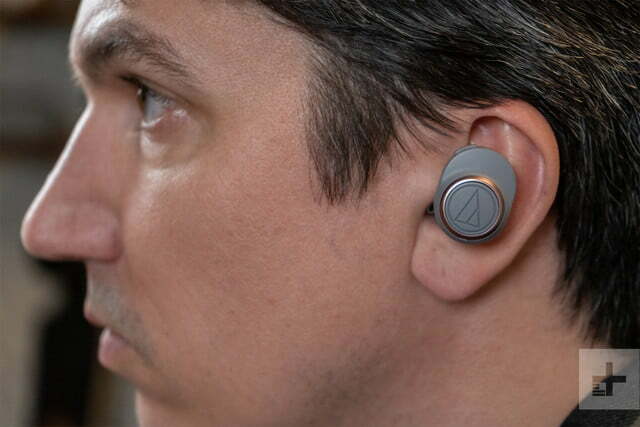 Audio-Technica even created an isolated housing structure to keep the electronic circuitry from invading the acoustic space, building its top-tier true wireless buds like a sonic sports car, tuned for performance above all. Unfortunately, also like many sports cars, the headphones are stripped down when it comes to extras, lacking many features we’ve come to expect from even midtier competitors, let alone a pair with such a high asking price. For starters, the CKR7TW lack water resistance of any kind. Most earbuds we test these days can be showered in water (or sweat), if not submerged, with no ill effects. While Apple’s AirPods are among the few examples that don’t offer water resistance, they’re also nearly $100 less than the CKR7TW. Other performance-focused earbuds like The Momentum (yes, we’ll be referring to those a lot) and Master and Dynamic’s MW07 offer at least basic water resistance. Also missing here are increasingly common features for even midtier true wireless options like digital assistant support, sensors to auto-pause music when the earbuds are removed (something the AirPods helped popularize), and audio passthrough to keep you aware of the ambient world around you. Battery life is one segment in which the CKR7TW do excel. Offering six hours of playback per charge, they rank above the wide majority of rivals; Sennheiser’s Momentum offer just four hours per charge, and Apple’s AirPods pack just five. True-wireless headphone battery life is about to take a giant leap forward in 2019, but six hours is still an impressive feat. Helpfully, the earbuds also shut off automatically after a few minutes of standby. Atrocious lag makes enjoying video with aptX out of the question. Unfortunately, there are a couple of caveats: First, the CKR7TW’s decision to use Micro USB means it takes a long time (at least 2 hours) to charge the buds, and a full five hours to charge the case. Second, the case itself only offers 1.5 extra charges for a total of 15 hours. Looking again at Apple’s AirPods (which came out in 2017, mind you), that’s a 10-hour step down. To be fair, Sennheiser’s Momentum and Master and Dynamic’s MW07 both only pack 15 hours of total charge time, and both cost $50 more, to boot. Another odd design trait is that phone calls are only piped through the CKR7TW’s right earbud, like the singular Bluetooth earpieces of the early 2000s. By far the worst offense these earbuds commit, though, is their atrocious video lag of a half second or more with apps like Netflix and YouTube. Luckily, we were able to find a workaround after speaking with Audio-Technica’s support staff, though you’d never know it by reading the manual. Using the company’s Connect app, you can change the Bluetooth codec from aptX or AAC to the lower-quality SBC, which virtually eliminates the lag. 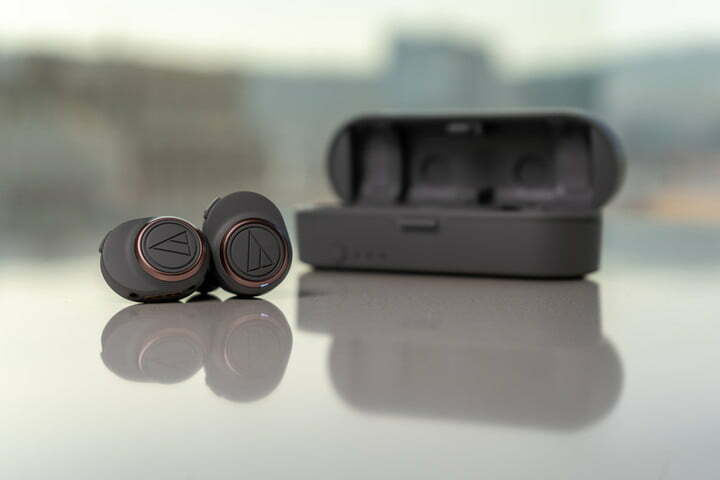 That said, you’ve got to reseat the earbuds in the case each time, making it an arduous task to switch between high-quality streaming and lag-free video — not exactly what you’d expect from luxury true wireless earbuds. On the bright side, the CKR7TW offer a pretty comfy ride once you’ve got them seated correctly. They do hang pretty loose, which not only makes them look, well, odd (one colleague said we looked like techy Frankenstein), but it also means you may want to use the 3D Loops during rough airspace. Said loops are bit hard to attach, and they also weren’t all that comfortable when seated in the ears of yours truly, but they do offer a tight seal and keep the buds locked in. It’s tough to design useful controls for true wireless buds, but the CKR7TW’s two-button control system is relatively intuitive. The right key controls power with a long hold, as well as play/pause/calling with a single click and song skip with double and triple clicks. The left key increases volume with one click and decreases it with a double tap. Apart from the video playback issues, listening to audio with the CKR7TW is a general delight. 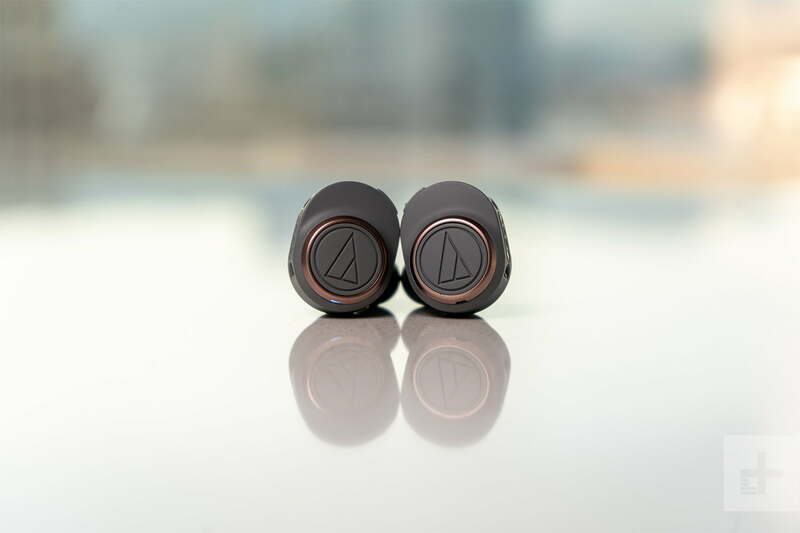 Their fantastic clarity and noise-free signal put them on the top shelf with some of our favorite true wireless earbuds, again referring to the Momentum (which we’ve crowned as the best performers around) and Master and Dynamic’s MW07. The CKR7TW certainly blaze their own trail, with a sound signature that’s not quite as smooth or balanced as the Momentum, but instead leans into the kind of crisp, bright flavors we’ve come to expect from Audio Technica in the upper midrange and treble. Conversely, they save some serious thump in the lower and sub-bass registers. That slick combination makes them expert delivery devices for hip-hop and electronica music, while acoustic music reveals transcendent delivery of vocals, clean-cut steel-string guitar, and smooth, detailed stand-up bass. The brash punch of brass in big band and jazz music rides just on the edge of too bright for us, and in general, we would have liked a bit more depth and weight in the middle of the sound. Still, there’s a lot of impressive detail here across genres. As with all earbuds, the color of the sound will ebb and flow depending on fit, so you’ll want to make sure they’re properly sealed. Perhaps the CKR7TW’s best sonic feature presumably stems from their multiple-housing design, which makes Bluetooth transmission crystal clear with no audible interference. Audio-Technica offers a one-year warranty on the headphones for parts and defects. 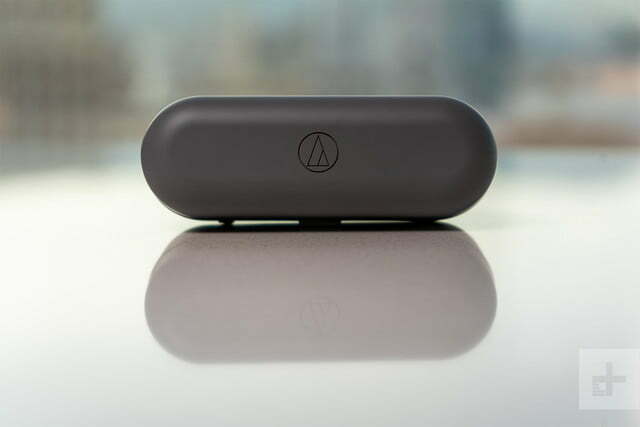 Audio-Technica’s first try at true wireless earbuds offers impressive sound in a stylish and comfy package. Unfortunately, a patchy feature set and video lag over high-quality Bluetooth codecs — not to mention the high price tag — are enough to keep these earbuds off our shortlist. 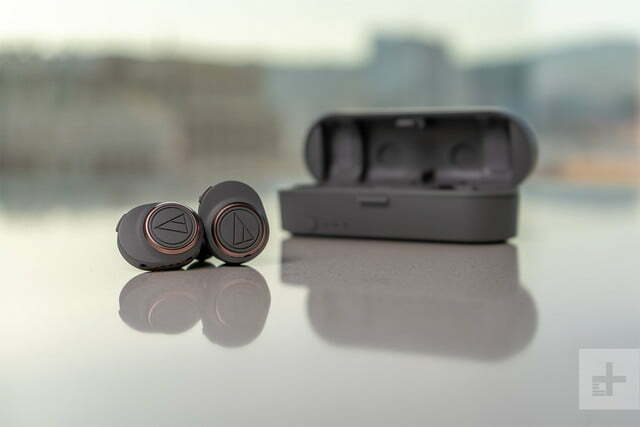 Plenty, but those looking for performance-first buds will likely want to go for the oft-referenced Sennheiser Momentum, which boast better performance and a much better feature set, though they don’t last as long per charge. 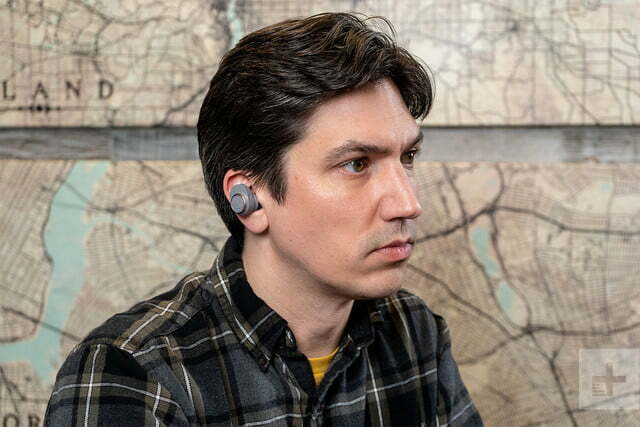 For a more balanced pair of true wireless earbuds when ranked by design, features, and pricing, we’d recommend going with Jabra’s Elite 65t or the sportier Elite Active 65T, the latter of which offer plenty of features, water-proofing, and solid sound for a fair bit less cash. The CKR7TW are an impressive first look at where Audio-Technica can go in the true wireless segment, and their sound performance and six-hour battery life make them an enticing choice at first blush. As it stands, however, their odd video sync quirk and lack of many basic features we’ve come to expect from much cheaper competitors put them behind the pack. With battery life poised to improve significantly toward the end of 2019, the competition is only getting stiffer. No. While we love the CKR7TW’s clear and detailed sound, their video sync issues and austere feature-set make them a pass at this price.